As December ends, Enova Illumination brings its 10th Anniversary Celebration to a close. It has been a fun and exciting year. We’ve enjoyed commemorating our history, our success and our customers. We thank all of our customers, partners and distributors for making 2015 a fabulous year! We look forward to 2016 and wish all of you Happy Holidays and Happy New Year. We’ve selected a second Grand Prize Sweepstakes Winner and will draw one final name before the month ends. November’s winner is Dr. Charles Ledonio, who is the Director of Spine Research in the Department of Orthopaedic Surgery at the University of Minnesota. As a researcher, Dr. Ledonio provides us with a slightly different perspective on medicine; one that is equally fascinating. 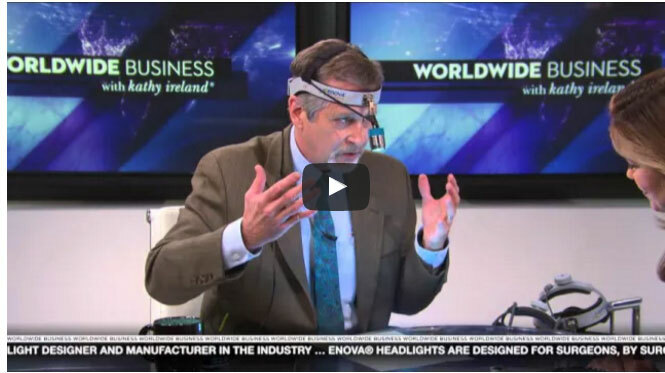 He first saw Enova Illumination’s LED headlights at a North American Spine Society Meeting in 2013 and liked the XLT-125 headlight’s technology and the fact that Enova is based in Minnesota. We’re glad to hear this from a professional who spends his days evaluating new technology to improve patient recovery and outcomes. Dr. Ledonio has always been interested in biomechanics. After receiving his MD from the University of Santo Tomas in the Philippines, he served as a medical resident in Orthopaedic Surgery at Makati Medical Center and did a Fellowship at the Nobuhara Hospital & Institute of Biomechanics in Japan which was sponsored by with Takeda Pharmaceuticals International, where he studied the pitching motion of baseball players. As the Director of Spine Research, Dr. Ledonio works with U faculty to assess new technology used in spine surgery. One project he shared involved his research on a 3-D computerized image guided navigation system for surgery. Disclaimer: The comments made in this article do not necessarily represent those of the University of Minnesota. 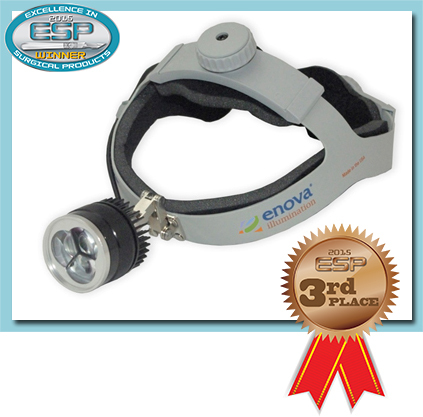 Enova Illumination was awarded the third place Lighting award in Surgical Products’ annual Excellence in Surgical Products Awards for its newest LED Surgical Headlight, the Cyclops XLT-225. Our headlight was featured in the November-December 2015 issue of Surgical Products article entitled, Shining a Light on OR Demands. Congratulations to first place winner Pare Surgical, for its NOVA Surgical Light Source, which is a disposable handheld surgical light with 3-D LED illumination for use in small incision surgery, and second place winner Steris, for its HarmonyAIR M-Series Surgical Lighting System, which uses LED technology in overhead surgical lighting. 10th Anniversary Sweepstakes. When we launched the Anniversary Celebration activities, we had no idea how many surgeons would participate. It turns out quite a few of you enjoyed answering our trivia questions. We asked seven questions related to LED headlights, Enova and medical history. Here are the questions again, with the answers. Brightness can be measured in Lumen, Lux and Foot Candle. TRUE. Illumination from LED chips will not degrade with time. TRUE. Light quality and intensity will remain constant without any degradation. Who discovered chloroform? James Young Simpson discovered chloroform and John Snow, physician to Queen Victoria, pioneered it. 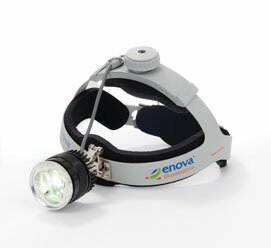 Enova Illumination was the first manufacturer to introduce LED surgical headlights to the market. TRUE. Surgical scrubs are green or blue because these colors are easier on a surgeon’s eyes. TRUE. Scrubs used to be white until the early 20th century. Enova LED surgical headlights have been used in the television series Bones. TRUE.